Inside of the Dumbarton Oaks orangery grows a 150-year-old Ficus pumila—the oldest house plant in North America. Melissa Brizer’s job is to keep it alive. The Ficus is just one of the plants under Melissa’s care. She first came to Dumbarton Oaks as an art historian student at the now-defunct Mount Vernon College, interning in the archivist office in 1983. The experience left a lasting impression. 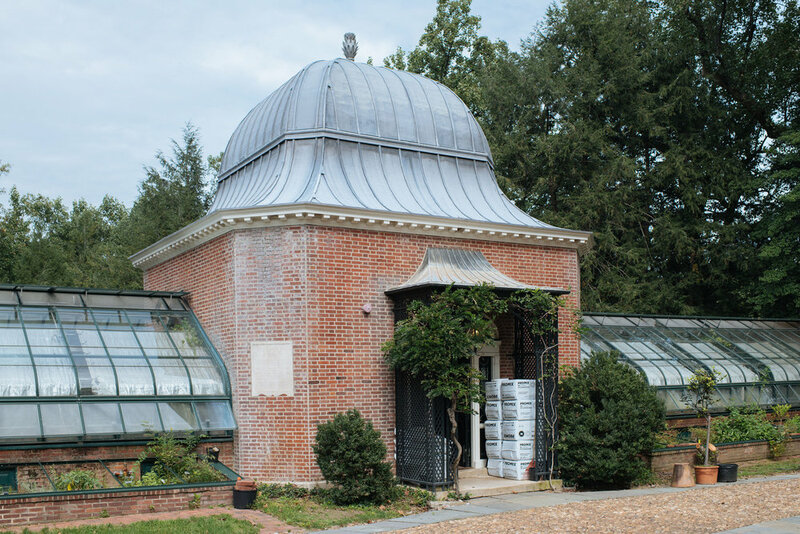 After working as a paralegal for several years, Melissa went to horticulture school and received a general education in everything from trees to shrubs, grass, and propagation—returning to Dumbarton Oaks in 2003 to intern in the garden. Three years later, while working as head gardener at the Embassy of Denmark, Dumbarton Oaks called. They’d just gutted and rebuilt their greenhouse with a state-of-the-art, computerized system, and invited Melissa to return full-time to run the program. She said an emphatic yes. Much of Melissa’s work is rooted in the legacy of Dumbarton Oak’s original gardener, Beatrix Jones Farrand. The only female founding member of the American Society of Landscape Architects, Beatrix began designing the garden in 1921 with Mildred Barnes Bliss, who purchased the property with her husband the year prior. 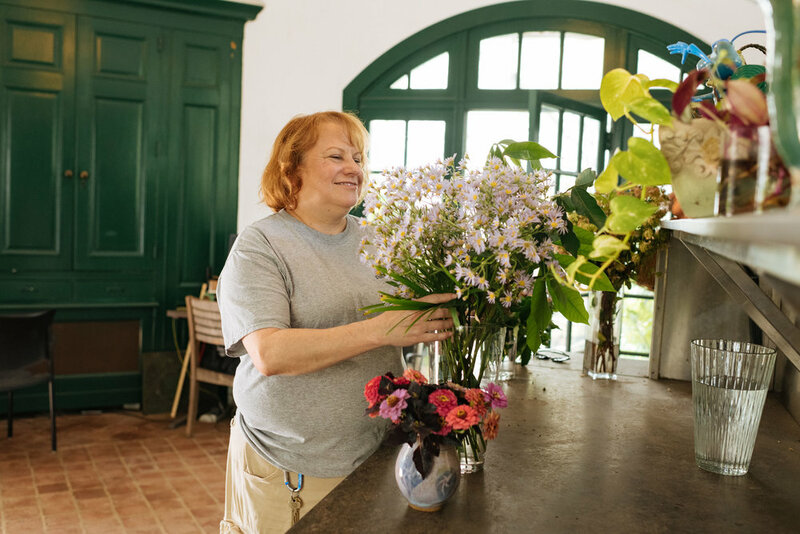 Beatrix stepped away from Dumbarton Oaks in the late 1940s, shortly after the grounds were donated to Harvard University, yet Melissa says her influence is still felt in the garden. Caring for a historic property comes with its share of stressors, and Melissa says the work is as much an art as a science. Technically, every day is a matter of life and death in the greenhouse. Still, Melissa says she’d take that responsibility over any desk job. She’s connected to the greenhouse in a visceral way—made all the more apparent when a recent surgery kept her out of the garden for seven weeks. 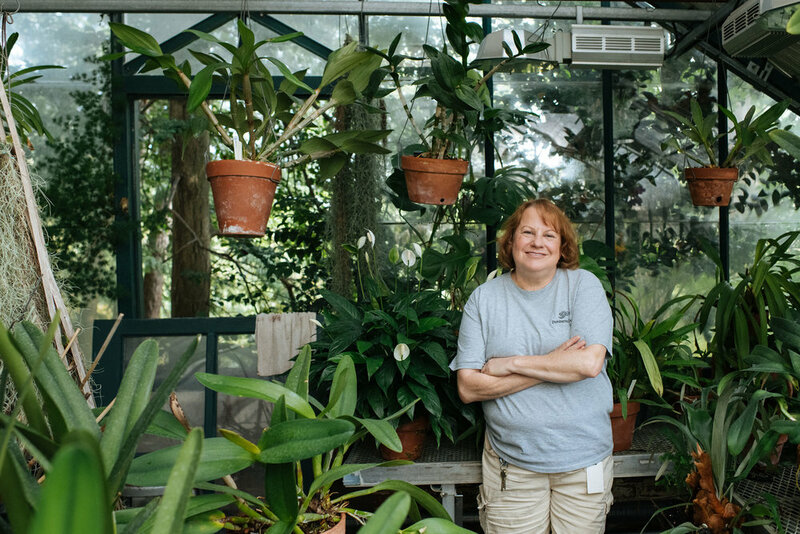 When she’s not tending to the plants, Melissa is meeting visitors in the garden, who always have a long list of questions and an infectious passion for the grounds. One of her favorite memories was meeting ‘everyone’s garden guru,’ Martha Stewart. Many of Melissa’s friends and family see her in a similar light. Her husband teases, in turn, that the cobbler’s son has no shoes. Melissa’s home garden is as effortless and low-maintenance as possible—whatever energy she has already expended at Dumbarton Oaks. In the ‘muck and the mud’, with mosquitoes in her eyes, Melissa’s job isn’t always roses. And yet, it’s exactly where she always wanted to be.